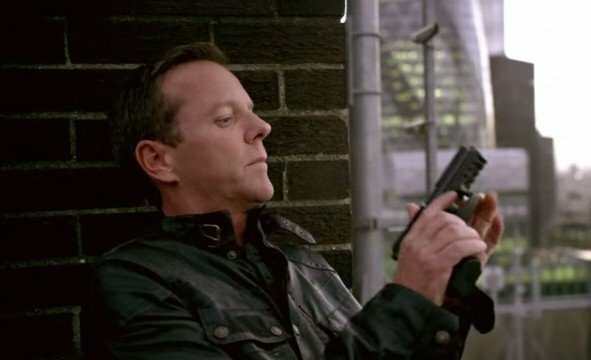 24‘s season eight finale left Jack Bauer’s story on a very unsatisfying note, especially as the promised movie never came. 24: Live Another Day, meanwhile, was supposed to follow-up on that but ended in a similarly disappointing fashion, and now a completely unrelated spinoff is set to premiere in 2017 titled 24: Legacy, starring Straight Outta Compton‘s Corey Hawkins. However, based on comments from executive producer Howard Gordon, this series may not be the reboot it initially sounded like. While Kiefer Sutherland is currently busy gearing up to star in ABC drama Designated Survivor, the door is apparently open to him making a return as the CTU agent turned fugitive. According to Deadline, they’ve heard that Gordon and his team already have an arc in mind for the second part of 24: Legacy‘s 12 episode first season which could involve Bauer’s return. However, there are no talks taking place with Sutherland at the moment, so it may be a little too soon to start getting excited about this actually happening, even if it is a very real possibility. So much time has passed that the long rumoured 24 movie seems highly unlikely, but Bauer’s story being continued in 24: Legacy is certainly an interesting prospect, especially after the frustrating way Live Another Day left things. With any luck, they won’t drop the ball yet again.